The time has finally come! Andy Black, A.K.A. 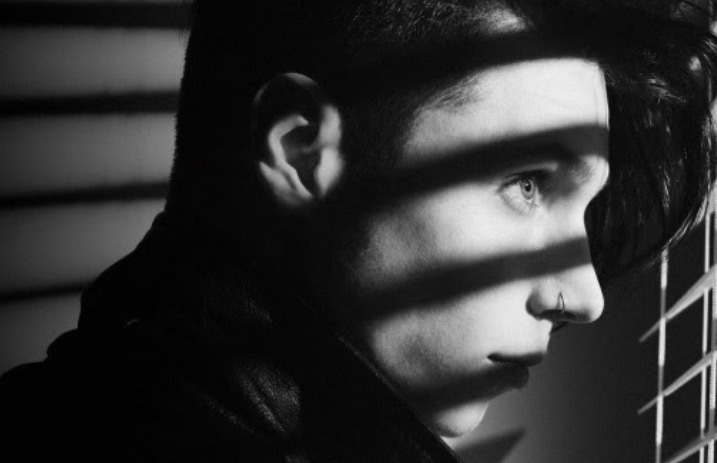 Andy Biersack of scene superstars Black Veil Brides, has announced his debut solo album. The Shadow Side will release May 6 worldwide, and pre-orders, which include an autographed CD and photo poster, are available now. Not only that, but a new single, “We Don't Have To Dance,” drops this Friday, March 18 (listen to a sneak peek here). Check out the impeccable album art, designed by Richard Villa III, the tracklisting and a statement from Biersack below. An Andy Black tour is hitting the UK and US this year. My debut album “The Shadow Side” from my solo project #AndyBLACK will be released Friday May 6th worldwide! Pre-orders are available now and include a limited edition autographed CD (while supplies last) and exclusive photo poster by @jweinerphotography �� I am so excited to unveil the album cover designed and executed by my longtime friend and favorite artist in the world @exhibitagallery “Everyone carries a shadow,” Carl Jung once wrote, “and the less it is embodied in the individual's conscious life, the blacker and denser it is.” It may be (in part) one's link to more primitive animal instincts, which are superseded during early childhood by the conscious mind.” To me, “The Shadow Side” represents taking the things you fear the most…your darkest emotions and using them to create something stronger. Make yourself into a warrior. Previous articleWhat would it be like if State Champs ruled the world?